Library: Korean | Money Management 1-2-3: THREE: Planning a Secure Future (Korean) . 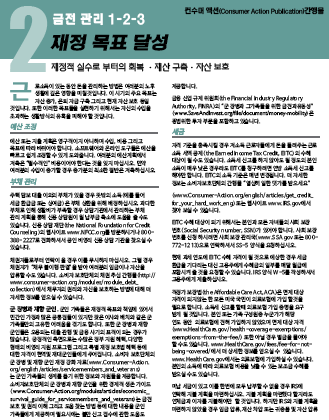 Library: Korean | Filing a Housing Discrimination Complaint (Korean) . Library: Korean | Credit Reports and Credit Scores (Korean) .